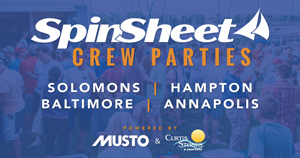 Sailors don’t need too much arm-twisting to get them to agree to a trip to Charleston, SC, and they’re even more excited to contest the big event: Sperry Charleston Race Week 2019, set to unfold April 11-14. 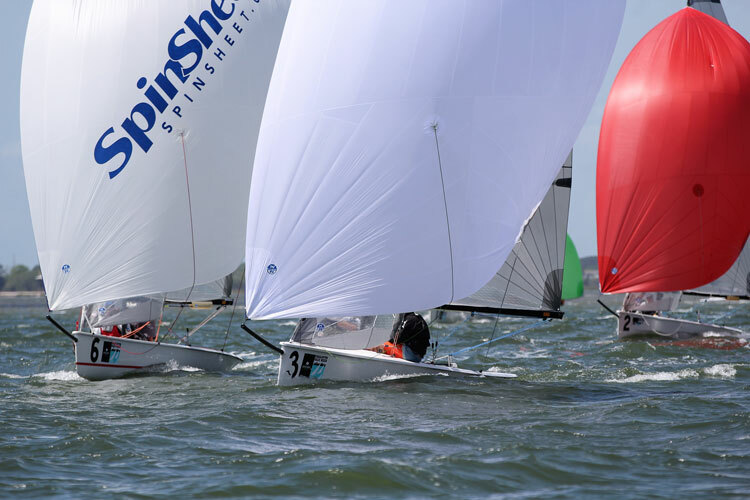 This year’s edition will be packed with Chesapeake talent with two dozen regional boats in the mix and still more Bay sailors crewing for others among the 264 entries. Tim Mangus, John Hibert, and Greg Oczkowski enjoying CRW shoreside. Charleston Race Week 2018 photo by Priscilla Parker. Fellow J/70 sailor Pete Firey has competed in Charleston every year since 2014 on Phoenix. Tim Mangus, Eric Mentzel, and Sean Nunes will round out his crew this time. 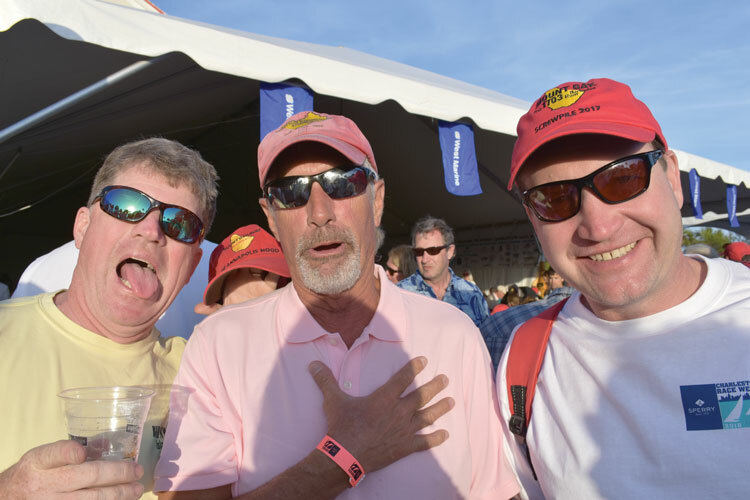 2018 Charleston Race Week Party photo by Mary Ewenson. Although a sailor for life, this upcoming Charleston Race Week will be Annapolis sailor Kyle Comerford’s first. He will compete in the VX One. Although he’s yet to sail in Charleston, Comerford has kiteboarded on its beaches a dozen times. Charleston Race Week photo by Priscilla Parker. Among the new and exciting additions to the 2019 Charleston Race week are two one-design classes: M32 Catamarans and RS21s. 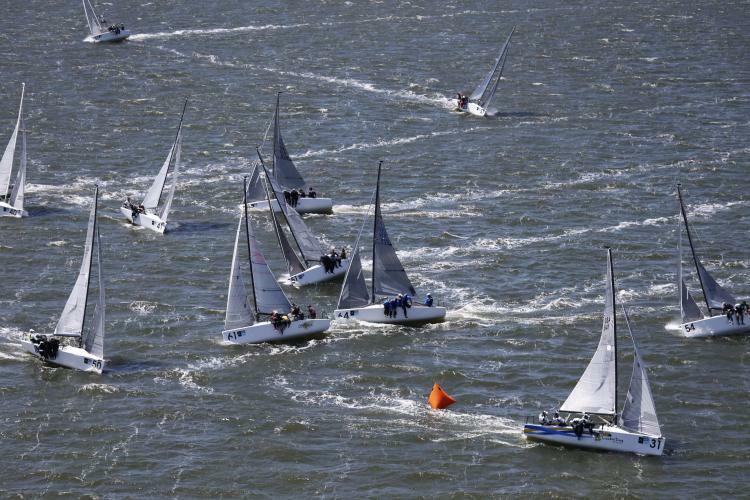 The Viper Class will contest its Atlantic Coast Championships concurrently with CRW. 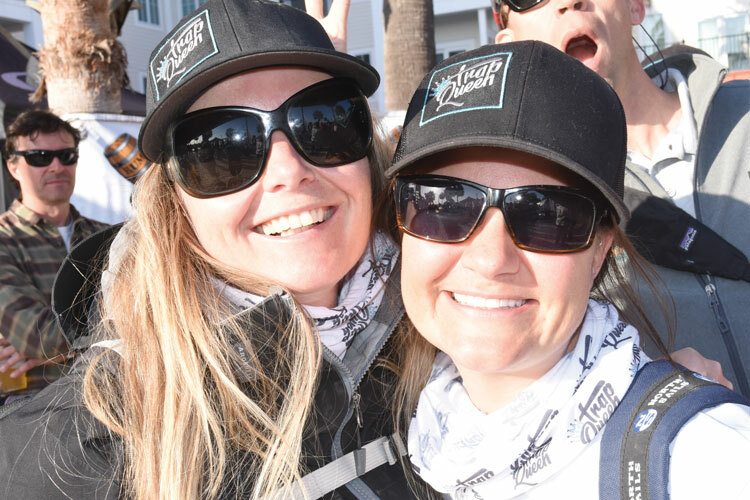 There will also be a Hybrid Pursuit race to get competitors out to the ocean for windward-leeward races and afterward, a race to the finish to keep things interesting. Organizers are also working on a public sail component so that curious new sailors may experience a “First Sail” on the harbor.